Earlier this fall, we released a report showing how SeaTac’s Proposition 1 will inject $54 million into the local economy and create over 400 new jobs. We also showed how local businesses, particularly in SeaTac, will benefit. Before the elections close on November 5th, we wanted to show how this new economic activity will affect government budgets. We found that local government (city, county, transportation, etc) and school district budgets will increase by nearly $1.2 million from Proposition 1. SeaTac itself could receive up to $50,000 a year directly to its general fund. It’s pretty intuitive how local budgets will benefit. More money in the pockets of thousands of workers will result in spending at local businesses for goods and services. Increased spending at local businesses means more sales and use tax revenues for local government. The bottom line for both state and local government? Nearly $2.8 million in total sales tax collected. How? For every dollar that a worker spends of his or her new earnings, we estimate that 59.5 cents will be spent in the regional economy – or about 60%. (The estimate is based on figures from the Federal Bureau of Economic Analysis. See Martin Associates, 2007 Economic Impact of the Port of Seattle, page 62.) This represents spending after taxes, purchase of goods from outside the region and savings. Applying 60% to the $54 million additional earnings generated by Proposition 1, we arrive at a $32 million increase in purchase of local goods and services. Because groceries are largely exempt from sales tax, we remove another 9% (according to the Bureau of Labor Statistics, households earning between $20,000 and $29,999 spend 9% of their budget on food at home), leaving a total of $29 million. Now, we apply tax rates. Assuming the remaining income is spent on items that are taxed, local governments will receive an additional $877,000 and State government an additional $1.9 million. The City of SeaTac’s budget will see direct benefit as well. In our report, we estimate that between 15% and 20% of covered jobs are held by workers who live in the SeaTac and are even more likely to spend locally as well. Although many SeaTac residents do not spend all of their money in the city, we also point out that dozens of small businesses in and around Sea-Tac Airport cater directly to people who work at the airport. Workers commuting to their jobs in SeaTac also spend money there, making up for loss in sales by residents shopping in other cities. Hence, we estimate that 15-20% of those new expenditures will be at SeaTac businesses. Applying the rate for the city’s proportion of the sales tax (0.85%), we estimate that the city will see an increase of $37,000 to $50,000 a year in revenues. What would it cost the City of SeaTac to implement Proposition 1? The debate over this question to date has been based on speculation, not the specifics of this initiative and the city of SeaTac. The real answer is as much or as little as the city chooses. It all comes down to their elected City Council. And in SeaTac, the City Attorney works for City Council. Second, as a small city of 27,000 people, with a modest budget, it would be reasonable for City Council to protect taxpayer dollars by allowing court enforcement to be the primary route for enforcement. If Proposition 1 passes, it is likely that Council will take this issue up quickly and, with considerable input from voters, decide what their role will be in implementation. In contrast, large cities with big budgets have taken a more active role. 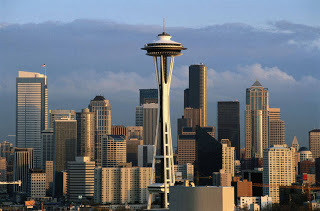 Seattle, with a population of over 600,000 and a massive budget, has adopted several workplace standards, including anti-discrimination laws, paid sick leave, and protection from wage theft provisions. With public support, City Council created an Office of Civil Rights, which is currently responsible for monitoring and compliance with many of Seattle’s workplace standards. This makes sense for a city with an estimated 540,000 jobs. The City also must prepare “auditing procedures,” in the event SeaTac officials decide to take a more active role in monitoring and enforcement. This could amount to a written memo from the City Attorney to Council. A few more provisions in the proposed law also spell out the powers the City has to monitor and ensure compliance. But, these are, again, conditioned by the discretionary power of the City to expend funds or not. In the end, whether enforcement of Proposition 1 will cost SeaTac money depends entirely on City Council’s decision of what to do and when. Like Proposition 1 itself, this will, in turn, depend on the people that put Councilmembers into office – the voters. Recently I was invited to sit down with the Seattle times Editorial Board to talk about how SeaTac’s Proposition 1 would boost the local economy, create new jobs and why it’s the right thing to do. Coming along with me was a UW Professor of Labor Economics and an airport worker to share her personal experience. Although we were able to point to credible information and analysis that shows Proposition 1 would boost the economy by $54 million, create over 400 jobs and put more money into the pockets of workers, they were not persuaded. The editorial rested its case on a recent story by one of their journalists on a similar living wage initiative that passed last year in Long Beach, CA. Amy Martinez, who has been covering Proposition 1 for several months, did the hard work of finding workers, employers and other observers in Long Beach to put together a balanced and fair front page story. Funny thing about the editorial is that it lifted only some of the findings from Martinez’s story. So, in fairness, I’d like to point out some others. First, some context. Measure N won at the ballot in November 2010 by 64% of the vote. The measure is not apples to apples with Proposition 1 – it covers only large hotels, whereas Proposition 1 covers large hotels, in addition to ground transportation and airport workers in SeaTac. The new wage floor is $13 an hour there (while Proposition 1 would set a floor of $15 an hour). About 2,000 workers at over a dozen hotels were expected to be covered. It went into effect on January 1st, less than 10 months ago. It’s really a bit early to tell the full effect of Measure N on workers, the hotel market and the broader community. As employers find ways to adjust for the new requirements, the dust needs to settle a bit to see the big picture. Revenues per hotel room, a standard industry measure for profitability, went up by 2.9%. And occupancy rates went up faster than the rest of the county. Two workers interviewed had their hours reduced, one did not. But it’s not clear whether Measure N was the cause. Regardless, even at a 25% loss in hours, the 33% gain in wages meant their paycheck did not go down. If the reduced hours were seasonal, as suggested in the article, Measure N preserved their income. Two hotels downsized to 99 rooms, avoiding Measure N coverage. However, Martinez also found that at least one of these hotels was planning this downsize before Measure N was even introduced. If we add to this preliminary look at Long Beach to evidence from other cities and airports with living wage standards, a better and stronger picture appears. In our report, Below the Radar, Puget Sound Sage showed how four airports have all seen growth and prosperity since living wage policies were adopted. In Los Angeles, which has a living wage standard for hotels just outside the LAX, the overall market is doing well (occupancy rates and revenue per room both up 3%, according to hotel analysts PKF Consulting). So, before we reach a conclusion about the outcomes of Long Beach’s very popular Measure N, let’s take initial findings with a grain of salt and take the longer view where we have years of data. What WPC seems to have missed is that the grocery chains have already taken the proposal to drop part-time workers from company health coverage off the table in their negotiations with unions (though at what level they will fund the program remains in dispute.) They have done this without any changes in national policy that would suddenly absolve the responsibility for employers to insure their workers. Yet, none of these corporations have simultaneously announced their intention to go out of business as a result. We have already posted on why the blame Obamacare game is a lame excuses strategy. It is a ploy to obscure the fact that giant retailers (not unions) are making decisions that hurt workers. While they publicly claim Obamacare is making them do it, they are really doing it because it’s so much more profitable to shift the cost of providing workers on to tax-payers and the new health care exchanges. It’s time to cut through all the rhetorical posturing. The ACA is not forcing businesses to cut full-time workers down to part-time status, or drop part-time workers from their health insurance coverage. The federal mandate is a policy that applies a fee (a tax) for not providing health insurance for employees who work full time. It defines full-time employment as 30 or more hours a week. Dropping worker hours to get around the requirement is an attempt to exploit what amounts to be a tax loophole. Big companies rarely pass up this kind of opportunity. There is nothing new about that. When corporations ask the federal government and tax-payers to pick up the cost of providing worker benefits so that they can attract and maintain workers, they are asking the government to subsidize the cost of doing business. That is corporate welfare. The real flaw with the ACA is not how it forces companies to hurt workers, but how easy it made off-loading labor costs onto tax-payers. Categories: Health Insurance Coverage, Living Wage Jobs | Permalink. Hotel developer R.C. Hedreen goes before the Seattle Design Commission today. Why? Hedreen needs the city to cede over a public alley in order to build a new mega-hotel at the old greyhound bus site at 9th and Stewart. To give you a sense of the scale of this project according to the most recent proposal that the tower will reach the highest allowable height in downtown at 500ft tall, include 1,680 hotel rooms, and as much as over 185,000 sq. ft. of convention and pre-function space. The total proposed amount of meeting space is enormous – greater than the combined meeting space in Seattle’s Sheraton, Westin, Hyatt and Hilton hotels. But the City doesn’t just hand over alleys or streets to anyone who asks. Unlike land use approvals typically granted for checking a series of boxes, City Council has complete discretion to say no or yes – for a wide variety of reasons related to public interest. On top of that discretion, the City is required by State law to obtain public benefits in exchange for the permanent loss to the street grid (called a street or alley “vacation”). For an alley vacation on the newly approved Amazon campus, Jeff Bezos is on the hook for purchase and operation of a street car among other open space and transportation goodies for the neighborhood. So, what’s the mega-hotel offering as public benefit? Before answering that, we have to note that the developer, R.C. 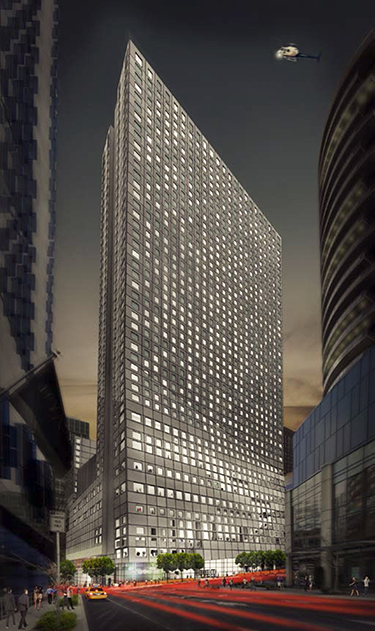 Hedreen, needs over 880,000 square feet of “bonus” floor area to build all 400 feet of his hotel tower. To get the bonus, the City’s incentive zoning program requires the developer to produce about 150 affordable units on site – or cut a check to the Office of Housing for $12.4 million. Hedreen has proposed to build the units on-site. And he wants to count it as a public benefit for the alley. According to the developer, building on-site is “unprecedented” and a “high priority for City leadership.” Both are true. No commercial project of this scale has included units on-site and City Council and the Mayor are working now on getting incentive zoning to generate more affordable units in downtown. But everyone recognizes that commercial developers don’t build on-site because the in-lieu fee option is typically much cheaper. So, does Hedreen get to count his affordable unit for both the bonus area and the alley vacation? The City’s Street Vacation policy (City Council Resolution 30702) says no. It specifically states that “Meeting code requirement for a development” does not constitute a public benefit. And that “The public benefit must exceed elements required by the SMC.” Building on-site may be more expensive, but it does not go beyond what the code requires Hedreen to get a density bonus. It seems that this developer wants to “double dip” from the public well with his on-site units. It would be reasonable to argue that additional incentive is needed to get more affordable units downtown. But it should be decided through policy, not a street vacation process. For now, double-dipping could undermine both the carefully crafted street vacation policy and the City’s incentive zoning programs. Council created them for separate purposes and for differing public interests: the first, to preserve and enhance the urban environment, and the second to address the lack of affordable housing in Seattle. Categories: Affordable Housing, Community Benefits and Development, Living Wage Jobs, Sustainable Communities | Permalink.